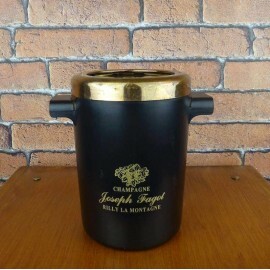 Lovely French Vintage Ice Bucket Maison "Joseph Fagot". Perfect for a birthday present or just for you to impress your guests! Can be used as an ice bucket or as a vase, a storage for your utensils, some soaps in your bathroom or towels or anything else! To view our full range visit our Ice Buckets Category.